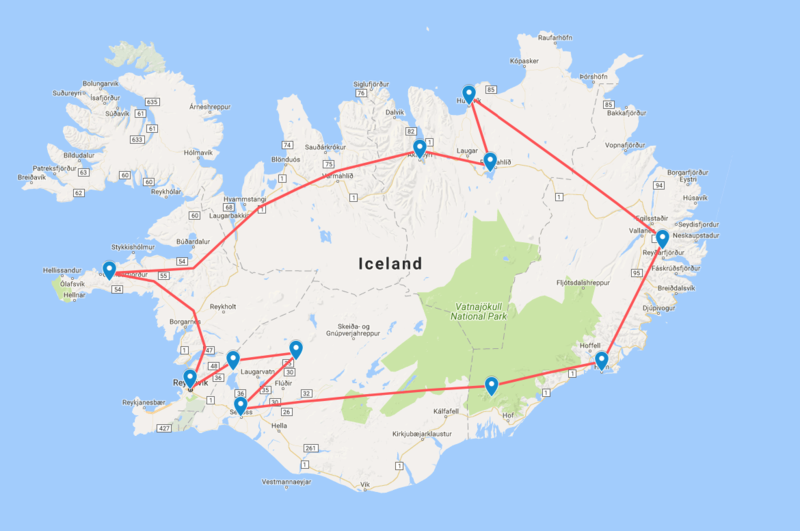 Around Iceland – The Great Canadian Travel Co.
Up and down and all around – this program is a chance for you to explore the highlights of Iceland at your own pace. Get your driving hat on, and charge up your camera; this tour is one of our favourite itineraries! Prices shown are starting from prices, per person in US$ based on 2 people sharing accommodation in the category chosen and an economy size, manual transmission vehicle rental. Rates for single and triple occupancy are available on request. Pricing is subject to change based on exchange rates in effect at time of booking and availability of tour components. Following arrival at Keflavik Airport in Iceland, transfer by Flybus via the BSI terminal to your accommodation in Reykjavik. 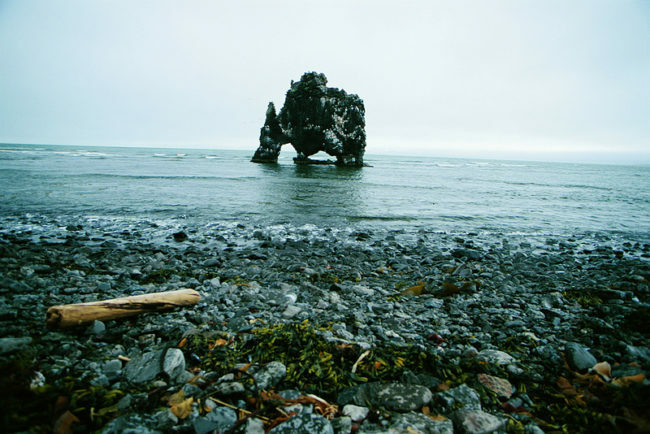 Travel the full circle around Iceland and prepare for an overdose of sensational scenery. As each day unfolds, you’ll be amazed at the variety of experiences that this beautiful island can offer. And, exploring at a leisurely pace, you’ll have time to enjoy it all. This two week holiday lets you survey the stunning coastlines, breathtaking natural wonders, places of historical or cultural interest and some simply stunning countryside. 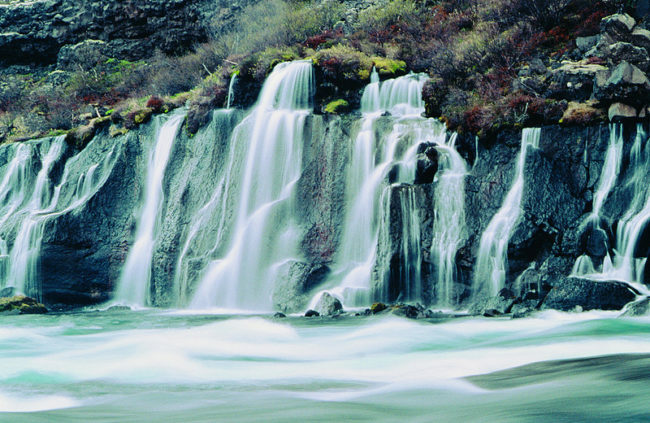 Pick up your rental vehicle this morning and head north to Borgarfjordur and Hraunfossar and view a waterfall that emerges from under a lava flow to cascade into a glacial river. 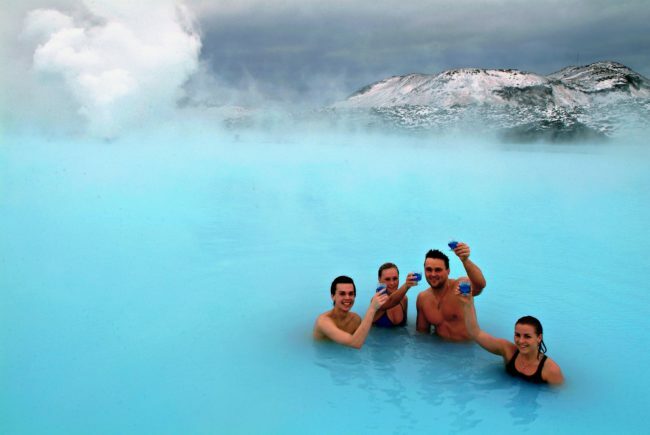 Visit nearby Reykholt and Iceland’s largest hot spring Deildartunguhver. 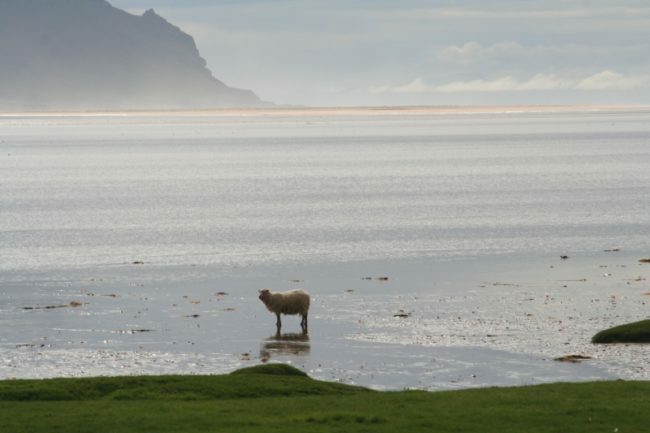 Spend two nights in Stykkisholmur. 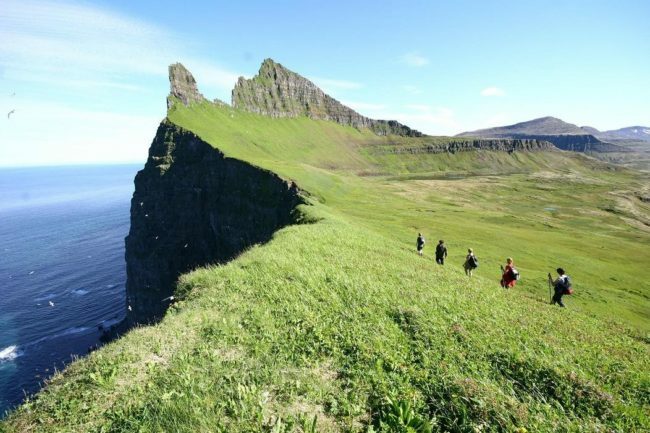 Explore the scenic Snaefellsnes Peninsula, walking among the fantastic coastal formations at Arnarstapi and visiting the fjords and fishing villages along its north side. With good weather you may have views of the mystical cone shaped volcano and Snaefellsjokull icecap. 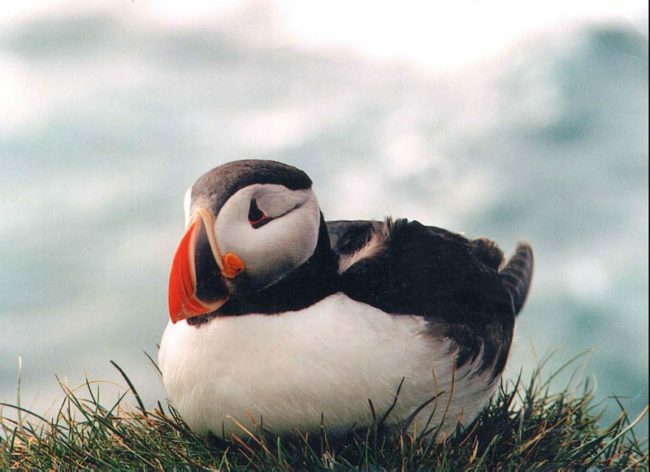 In summer, take an optional cruise on Breidafjordur Bay and seek out some of the amazing bird colonies on the peninsula. 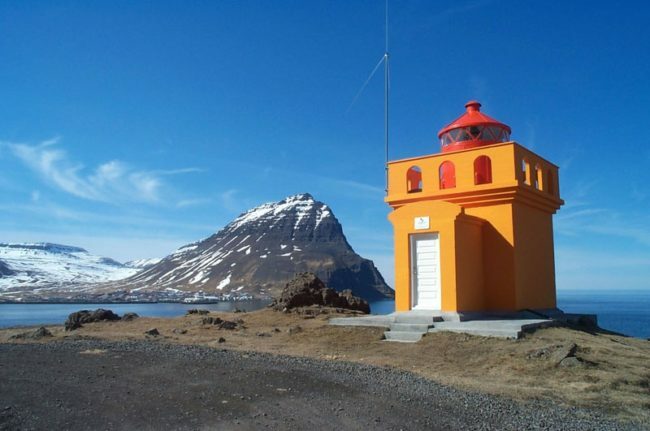 Head north to charming town of Akureyri on the shores of Eyjafjordur, for an overnight stay. There is a lovely Botanic Garden in the city, a charming church, several museums and art galleries. Take in the many shops and restaurants. Visit beautiful Godafoss and then head for Myvatn and explore its strange volcanic features. Perhaps take a dip in the beautiful Myvatn Nature Baths, visit the Cow Shed café or hike at otherworldly Dimmuborgir. Spend two nights in this interesting area. Drive to Asbyrgi Gorge, Jokulsa Canyon and Dettifoss, Europe’s most powerful waterfall. Take an optional whale watching cruise at Husavik. 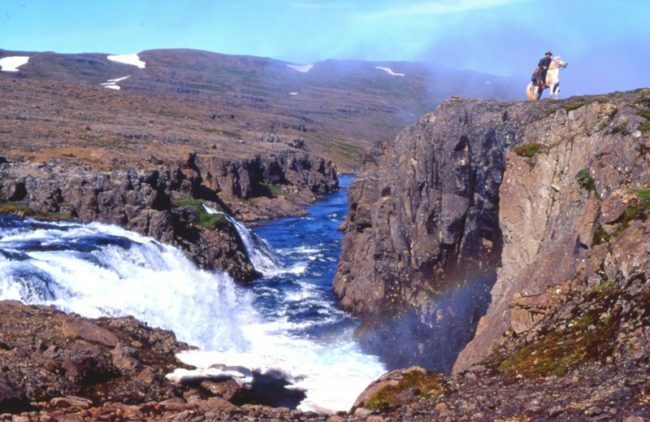 Spend a leisurely day heading east crossing the highland desert and explore the beautiful east fjords. 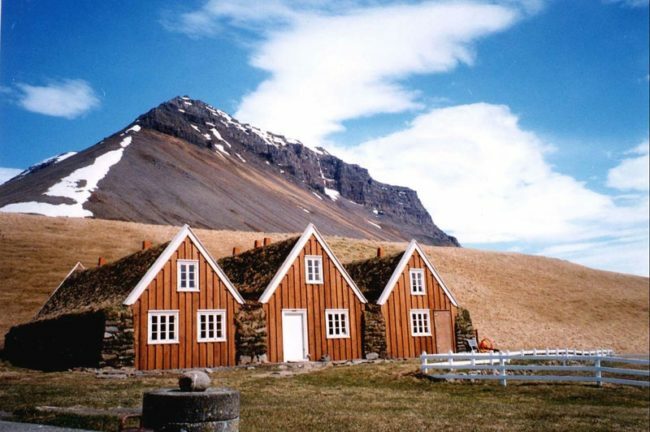 Spend the night in Egilsstadir or Seydisfjordur. 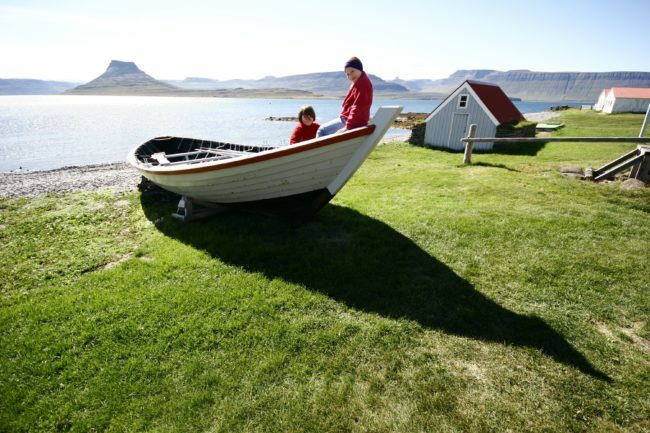 Perhaps head off to Mjoifjordur, considered by many to be the most beautiful of the stunning East Fjords, before continuing south through yet more striking scenery. 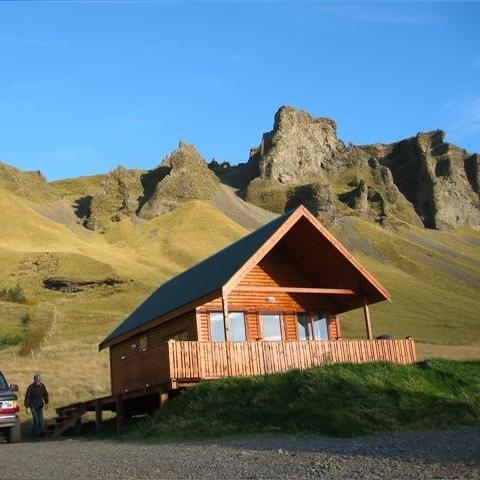 Overnight in Hofn, a fishing port at the foot of Europe’s largest icecap, Vatnajokull. You can also take an optional 4X4 tour on the glacier and maybe add on a snowmobile ride. One eye-catching view follows another on the journey around the base of the icecap, Vatnajokull in sight of its many breathtaking glaciers. One has receded, forming a huge lagoon, where icebergs lie adrift this is Jokulsarlon. In summer, take a boat trip amongst the icebergs and head over to the beach and watch as they drift out to sea. Stay two nights near Skaftafell. 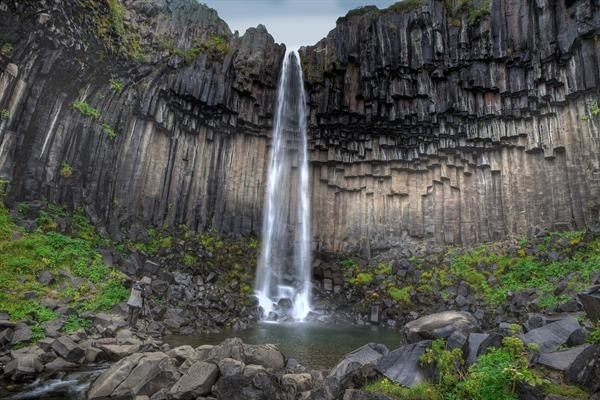 Explore Skaftafell National Park – wonderful views, glaciers and waterfalls including the stunning Svartifoss with its impressive basalt columns. Travel along the south coast past the cliffs of Dyrholaey, Skogarfoss and its Folk Museum. Don’t miss the walk behind Seljalandsfoss and look out through its curtain of cascading water. Two nights in the Selfoss area. Enjoy the three great attractions of the “Golden Circle” the geothermal area at Geysir, the two-tiered waterfall at Gullfoss and historic Thingvellir, Iceland’s third national park. Return to Reykjavik today and drop off your rental vehicle. The day is free to explore Iceland’s fascinating capital city, Reykjavik. Shop famous Laugavegur Street and visit several of the museums and art galleries. Visit Hallgrimskirkja church that towers over the city. Take a great photo of the city from the top of the church tower or from the observation deck at the Perlan! Enjoy dinner at one of the many incredible restaurants and take in the pure energy of Reykjavik nightlife.